Camellias are blooming in abundance now and filling the garden with pink- just in time for Valentine's Day! 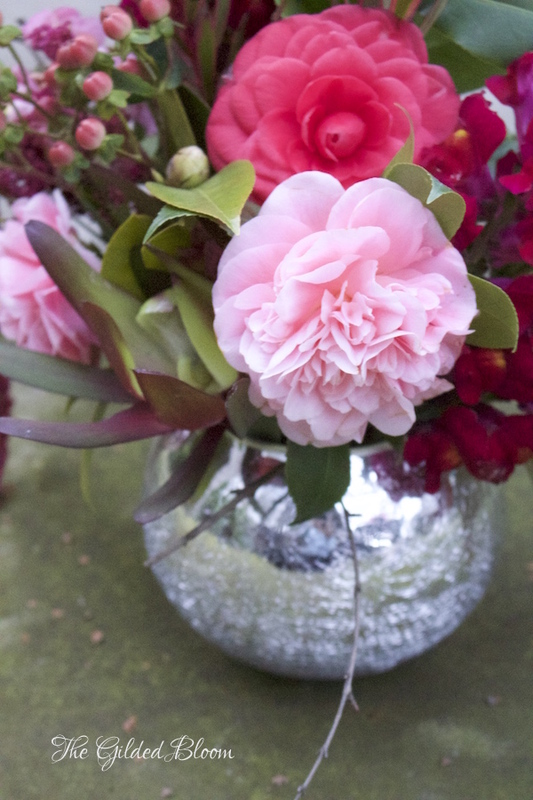 To bring some of their lovely color indoors I created a mixed arrangement of camellias and other winter blooms. Because camellias are heavy and delicate flowers I find it is best to follow their natural habit in the arrangement, letting them drape and twist as they please. 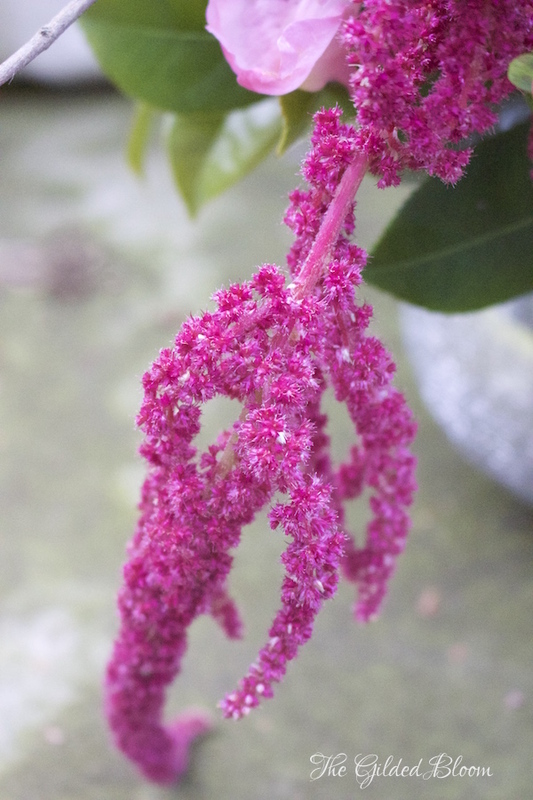 Touching the petals of these flowers may result in brown marks and gashes appearing on the blooms. So, to prevent overhanding them, I added the camellias to the vase first and then filled in the gaps with foliage. 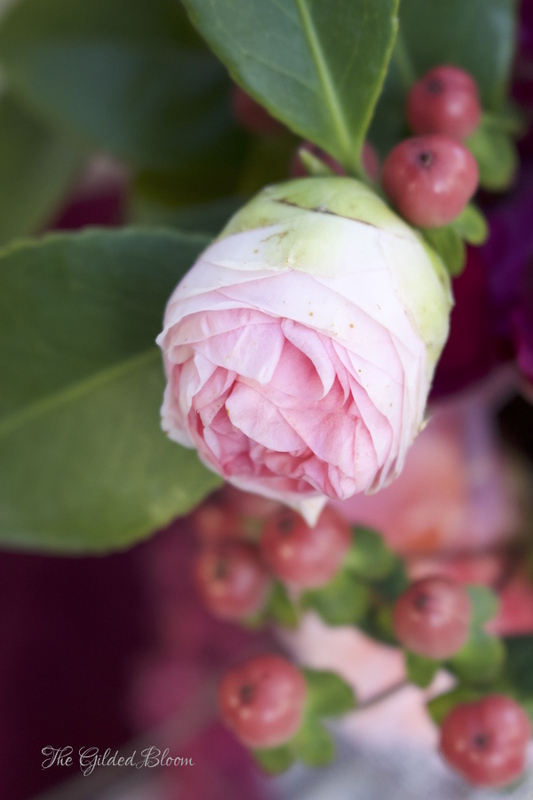 Cutting the camellia stems in different lengths allowed for some blooms to hang near the mouth of the vase and others to drape out further creating a natural look. 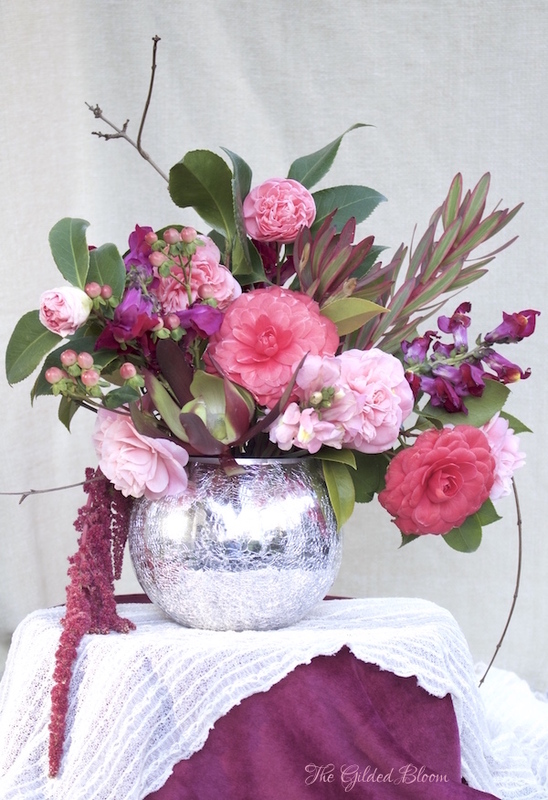 Adding contrasting textures like snapdragons, pomegranate branches and hypericum berries gives the arrangement a contemporary quality to match the mercury glass vase. 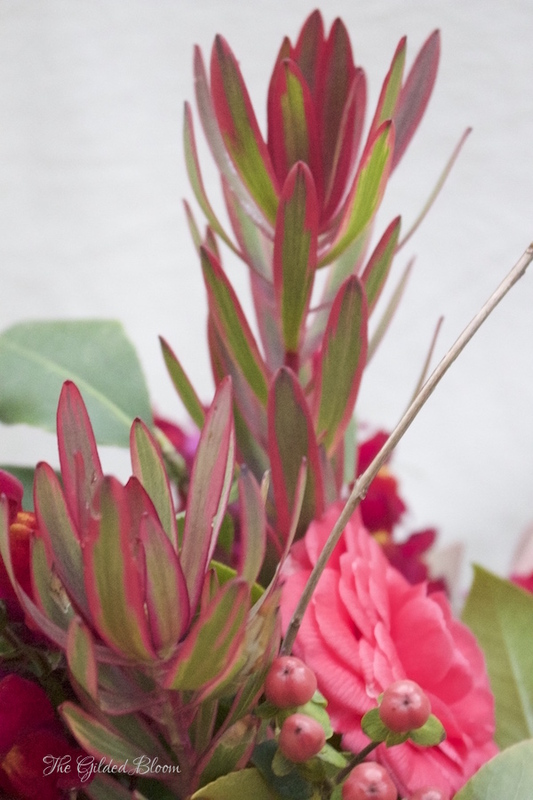 The Safari Sunset Protea shown below emphasizes both color and dimension in the mix. 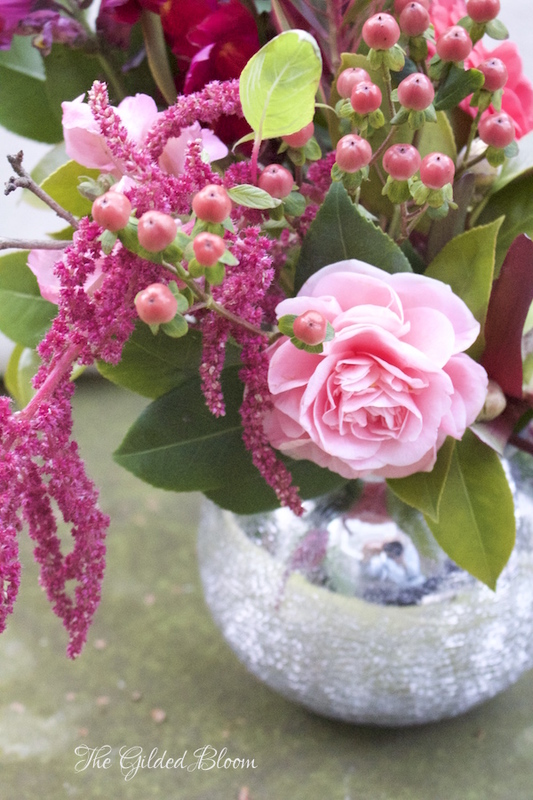 The pink amaranth draping out of the side of the vase picks up the color of the lighter camellias in the arrangement. 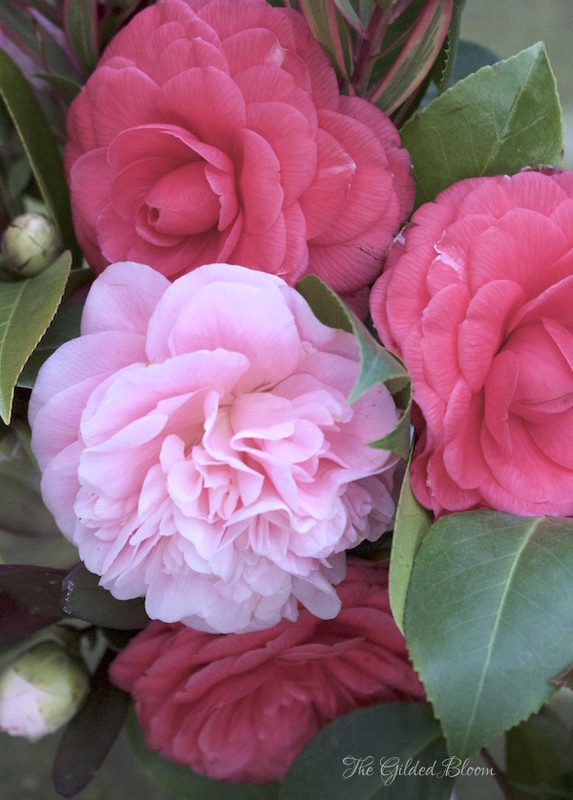 Showing the camellias in different stages of bloom provides an additional level of variety and extends the life of the arrangement as camellias will bloom indoors when kept in fresh water.